How exciting to embark on our 112th academic year! Things have gotten off to a great start with Convocation, SmartStart Orientation and our Welcome Back Picnic, all held in August. 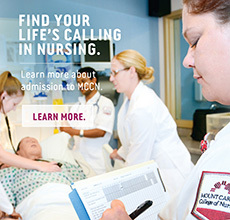 As you can see in the photo gallery, our students are diverse, eager and ready to embark on their nursing careers. Also in August, our newest program, the online Doctor of Nursing Practice (DNP), was launched. Offering the DNP degree is indicative not only of our commitment to excellence in nursing education, but is also reflective of our commitment to being proactively prepared for the changing healthcare environment. Our commitment is further reflected by the addition of Dr. Jill Kilanowski who will lead our Graduate Nursing Programs. Other degrees/ conferring university/ certifications: After Mount Carmel, I attended Otterbein College, where I earned a Bachelor of Arts in Business Administration in 1987. I also earned certifications in Gerontological Nursing and Lean Healthcare. What is your hometown, and where do you currently live? Marion, Ohio and now Columbus, Ohio. Where do you currently work? I am the clinical project liaison for Mount Carmel Health System’s new hospital construction project in Grove City (editor’s note – be sure to read more about Jill’s involvement in the project in the Fall 2015 issue, the Lamp). “An Afternoon in Tuscany” is the theme for this year’s Annual Homecoming and Annual Meeting of the Mount Carmel Alumni Association Membership, which will be held October 24, 2015, from 11 a.m. to 3:30 p.m. This year, special recognition will be given to the Class of 1965, celebrating 50 years! Other degrees/credentials: After I gain more work experience, I definitely plan to go back to college to earn either a master’s degree to become an NP (Nurse Practitioner), or perhaps pursue the new DNP (Doctor of Nursing Practice) degree. Where do you currently work? Shortly after graduation – the third week of April, I started in the MCSICU (medical cardiac surgical ICU) at Mount Carmel West. MCCN alumni joined with faculty and staff to create a presence for the College at 2015 FamJam – an event co-sponsored by Mayor Michael B. Coleman’s Columbus’ Neighborhood Pride program and Franklin County Children’s Services. The FamJam is a family enrichment festival with entertainment, carousel rides, food, games and activities. MCCN hosted one of the community resource booths to let children and their families know what a great career nursing is for everyone! Read more: Alumni Presence at FamJam! Jill Kilanowski, PhD, RN, APRN, CPNP, FAAN, has been named associate dean for Graduate Nursing Programs, MCCN. A certified nurse practitioner, nurse scientist and educator, she will oversee both the master’s and doctoral programs. 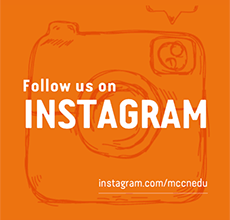 You can read more about her vision for graduate education at MCCN in the upcoming fall 2015 issue of the Lamp. Dr. Kilanowski’s nearly two decades in nursing education is a tremendous boon for Mount Carmel, as is her professional stature as past president, National Association of Pediatric Nurse Practitioners and her research on the health of children and families of migrant farm workers. She earned her PhD from The Ohio State University and both a Master of Science in Nursing (MSN) and Bachelor of Science in Nursing (BSN) from Columbia University in New York. 2015 Alum-A-Thon Virtual Fundraiser was a success!